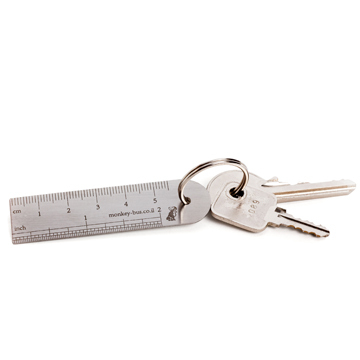 Ruler Keyring. The metal ruler lifetime, but now you can carry it forever. You never know where you have to take it out and measured. The classic metal ruler to have it on a keychain. Practical and useful even if you think otherwise. Made of stainless steel, 55 mm long and comes in an elegant gift box.